Whitney Tilson’s email to investors discussing lessons from the SodaStream case study; after the Bitcoin boom: hard lessons for cryptocurrency investors. 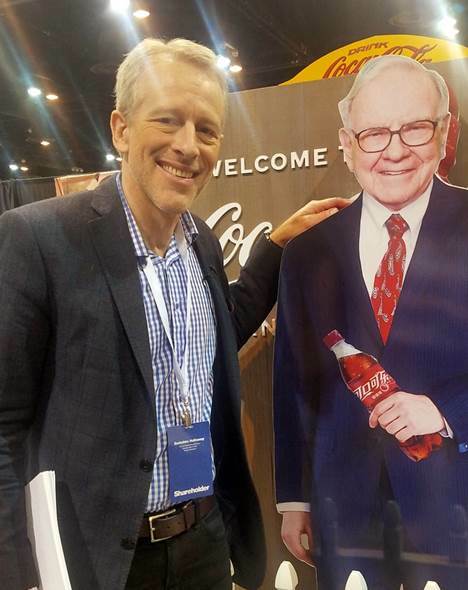 1) Pepsi just announced that it will buy SodaStream (SODA), a company I have a long history with and which I teach in our module on Effective Portfolio Management in our seminars and webinars (see www.kaselearning.com for information and to register for our upcoming programs in September). It’s one of my favorite case studies because it tackles perhaps the toughest issue investors face: what do you do when a stock you’ve bought doesn’t just go down a little, but a lot – by 50% or more??? Consistently making the right decision in situations like this is, I believe, more important than getting the timing right on the initial purchase. Think about it: how often do you bottom-tick a stock and it never trades below your purchase price? Answer: ALMOST NEVER! So for nearly every stock you’ll ever own, at some point you’ll have to deal with the dilemma of what to do when it’s trading below where you bought it (often far below). You have four choices: buy more, hold, trim, or sell entirely. Making the right decision is SO important – and SO difficult, in light of the swirling stew of emotions (regret, not wanted to sell at a loss, commitment bias, etc.). While I obviously got the timing very wrong on my entry point, I sized it small so didn’t get hurt too much on the decline. More importantly, I bought all the way to the very bottom and held as it rallied (though trimming along the way to manage risk). There are so many great lessons here that, for a limited time, I’m going to make this entire case study available to my readers. You can watch the 16-minute video of what we taught our students in our recent webinar here: https://player.vimeo.com/video/286112819, and you can download the slides we teach from plus the presentations I gave at the two conferences here: www.tilsonfunds.com/SODAKaseLearning.pdf. If you learn something from this and want to learn more from us, please join us at our upcoming webinars (starting two weeks from today on Sept. 4) or our in-person seminars in NYC on Sept. 24-28. The early bird pricing expires after Thursday, so register now at www.kaselearning.com.